It sounds a bit like a film script: A young man plans to set up his own business, and while searching for the right name, he comes across the more than 100-year-old story of his great-grandfather. The great-grandfather, a master tailor from London, found love and emigrated to Oldenburg in the north of Germany at the beginning of the 20th century. There he quickly established a respected business for classic men's clothing and accessories, which stood out due to the mix of British elegance and the northern German understanding of quality. Inspired by this story and driven by the desire to follow the tradition of his ancestors, the name of the company founded in 2009 was clear: PAUL HEWITT, named after his grandfather, Paul Edward Hewitt. 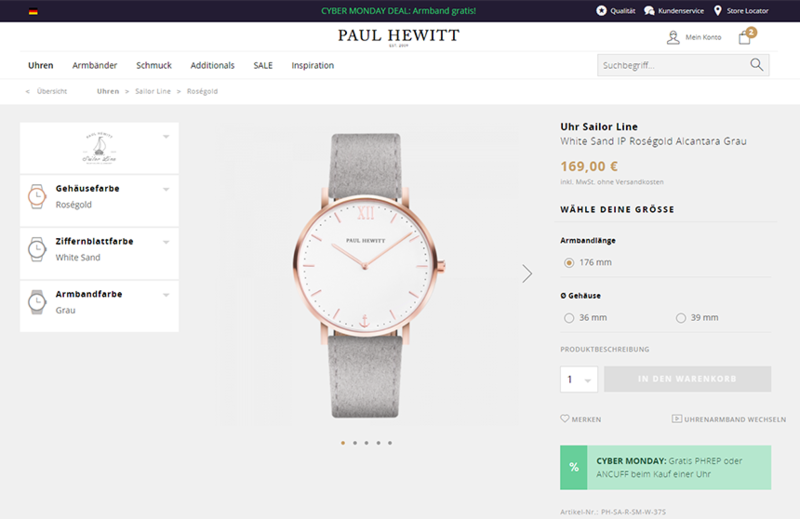 PAUL HEWITT has developed into a fast-growing company whose unique watches, bracelets and jewellery are characterised by vibrant colours, a maritime flair and an understanding of tradition, origin and consistency. Today, PAUL HEWITT products can be found in more than 3,000 stores worldwide. This international growth was also the motivation for the company to search for a new online shop system. 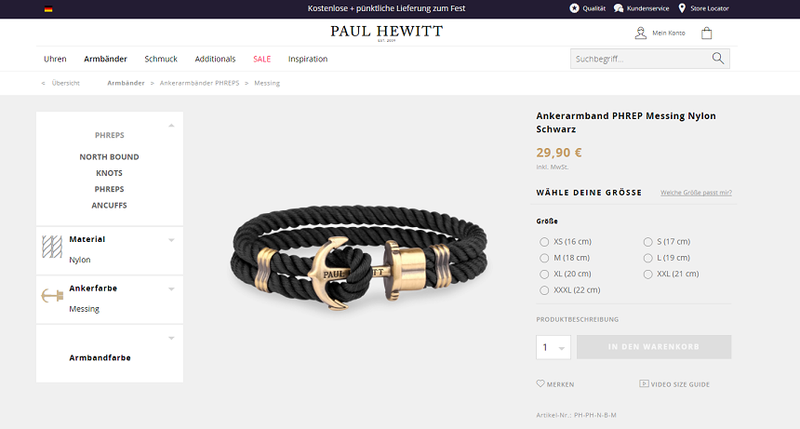 "Our goal was to create a technical basis for strong and, above all, international growth," explains Andra Möllhoff, Team Leader eCommerce and Project Manager at PAUL HEWITT. Having met these requirements and also impressing the team with a large range of functionality, high usability and comprehensive support, Shopware was the clear choice to support the company’s growth. The relaunch is based on the Shopware Enterprise edition. Shopware partner superReal supported the team in the design and implementation process. Also based in northern Germany, the eCommerce agency can look back on more than 15 years’ experience supporting fashion and lifestyle brands – the perfect track record for implementing a project along the likes of PAUL HEWITT. Speaking to the agency’s expertise, the ambitious schedule of launching the project in only six months was adhered to. Andra Möllhoff attributes this to both the excellent and professional collaboration between Shopware, superReal and PAUL HEWITT, as well as the agile approach of Scrum. One of the greatest challenges during implementation involved the technical individualisation of the software and processes. The initial configuration already posed a major challenge, considering PAUL HEWITT’s new online shop is the combination of 26 subshops and country shops, including B2B shops. "We sell worldwide and deliver to all countries," Möllhoff comments on the magnitude of the project. 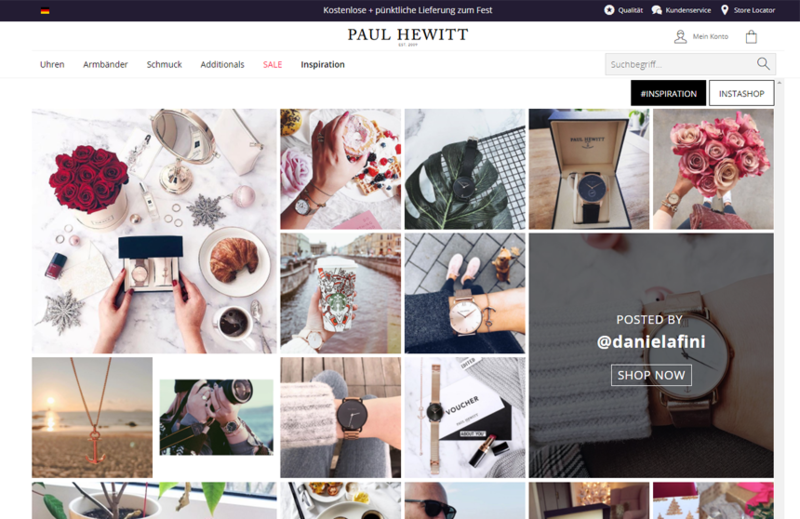 Social media also contributed enormously to the strong growth and brand awareness of PAUL HEWITT, so the company decided to integrate an Instagram shop. User-generated content is integrated into the store using the "Squarelovin" tool. Visitors receive inspiration directly from end customers and can open the products displayed in the image. The online shop includes twelve categories and 600 items, not including variants. All watches and bracelets are available in a multitude of combinations and can be customised using a configurator. Further marketing tools featured in the shop include Shopware’s Smart Search and the Advanced Promotion Suite. "The Advanced Promotion Suite impressed us with its usability and multiple application possibilities for high-sales promotions," explains Möllhoff. Shopware met the requirements set in advance for the new online shop. " Not only has switching to Shopware given us significant advantages in the internationalisation process, but it also made us a more agile company, allowing us to more quickly react to changes in the market,” says Möllhoff. The numbers reported by PAUL HEWITT just months after the relaunch speak for themselves. 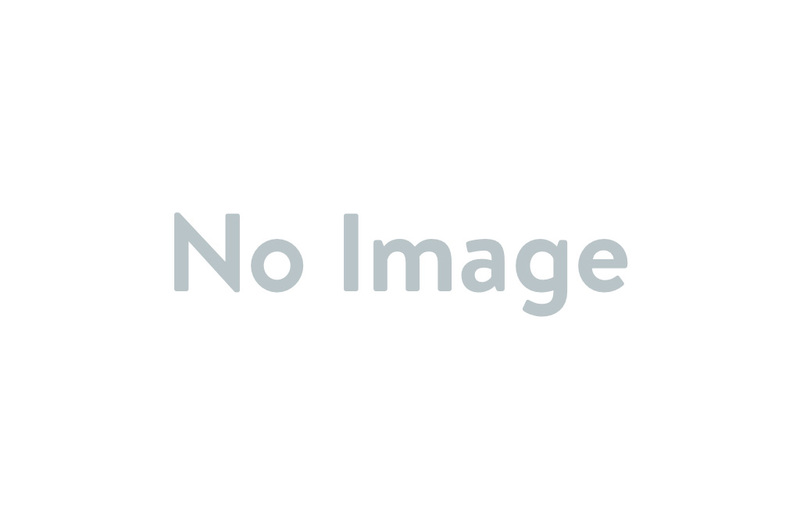 "We were able to achieve a conversion increase of up to 25% across all devices. Our returns quota has also been reduced through using Shopware." Premium Plugins "Advanced Promotion Suite", "Smart Search" und "Ticket System"